Car Accident Injury Claim Step by Step Process | Law Office of Andrew G. Rosenberg, P.A. To understand how and when to file an injury claim, you need to have an idea of the timeline involved and the steps you will need to take. Here is a step-by-step breakdown of the process of filing a car accident injury claim from start to finish. How many other cars were involved? What insurance do you have and have you had any communication with them? You can also expect your car accident attorney to informally touch on your initial hospital visit and doctor’s report. Lawyers are not as callous as many people believe. They will genuinely want to know what your medical condition is and how your life may be affected as a result of the injuries you sustained. Your lawyers may ask you to sign a form that grants them access to your medical files, insurance policies, police records, and other relevant information. This puts them in a position to make some evaluations and determine whether there is enough evidence and damage to warrant a case before the courts. The first consultation is usually free and is enough of an overview for the car accident lawyer to determine whether you have a case or not. This will help the lawyer determine if you have proof of negligence, fault, and causation. The more supportive evidence they collect, the stronger your case will be. In relation to policy obligations, the responsible insurance company may want to settle if they feel that they are considerably exposed. This usually happens before discovery or negotiations have been conducted. This tactic is prevalent with insurance companies as at this stage the full extent of your injuries has not been medically documented. Your lawyer should advise you not to agree to anything before a thorough consultation. The basis of your case lies in the existence of supportive evidence that speaks to negligence, fault, and causation. Eyewitnesses or CCTV cameras in the area of the accident scene are valuable forms of evidence. The other equally important part of your case is your medical report. Documentation of injuries is an important part of litigation, and your lawyers know this. So you should not be surprised if they recommend that you see a highly specialized doctor, occupational therapist, forensic expert, or other rehabilitation professional. These doctors will be sure to not only diagnose and treat you, but will also document your injuries. The responsible insurance company may request that you attend medical appointments with their own doctors. This is to verify the credibility and validity of your injuries. Although a tedious affair, it is a necessary legal process. Your lawyer may choose to be present for these appointments and will have advised you on what to expect. Good communication with your lawyer regarding these appointments cannot be overstated. A lawyer may conduct oral depositions in order to support your claim. These are done with the help of family members, employers, colleagues, and accident witnesses. A discovery meeting is usually a one-day event but can go as long as two to three days, depending on circumstances. The purpose of discovery is to provide the parties involved an opportunity to gather and assess the strength of the opposition. Cross-examination and special requests can be made by the opposition, but your lawyer can accept or deny these requests. This process is often presided over by a retired judge or a qualified neutral party. 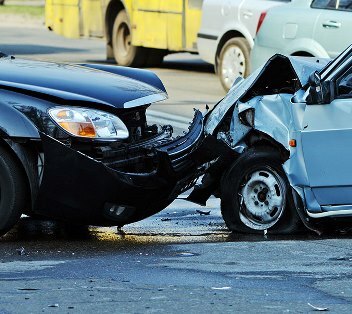 For a car accident injury claim, mediation can happen at any point during the court process. It is not uncommon for the mediation to take place one to two years after the accident, usually to ensure that the client’s injuries have reached a plateau. Most claims are settled at this point. If mediation is unsuccessful, the claim will proceed to pre-trial conference. This is usually in a boardroom with the judge, the lawyers, and in some cases the insurance parties. Typically only the judge and the lawyers have a say in this meeting. If the parties fail to reach an agreeable settlement in alternative dispute resolution or other negotiations, your lawyer will present your case to the courts with thoroughly documented evidence. Here your lawyer will seek to establish credibility and prove negligence. An experienced lawyer will do well in these endeavors. If the court rules in your favor, you are likely to receive a financial compensation award which is non-taxable and will be paid to you, less your attorney’s fees, in about 30 days.